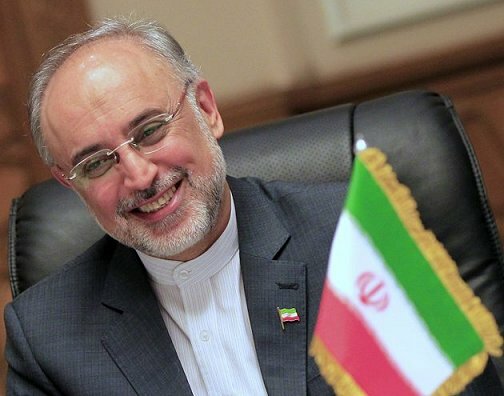 Iranian Foreign Minister Ali Akbar Salehi has proposed that observers from a contact group on Syria comprising Iran, Egypt, Saudi Arabia, and Turkey be dispatched to the crisis-hit country and announced that Tehran is ready to host a meeting of the group. According to a statement issued by the Iranian Foreign Ministry on Monday, Salehi made the remarks during a foreign ministerial meeting of the group that was held in Cairo on the same day. The meeting in Cairo was described as the quartet meeting of the foreign ministers of Iran, Egypt, Saudi Arabia, and Turkey, but neither Saudi Arabian Foreign Minister Saud al-Faisal nor any other Saudi Arabian official attended the meeting. Egyptian presidential spokesman Yasser Ali and an unidentified Arab League official said that Faisal did not attend the meeting for health reasons, but Egyptian Foreign Minister Mohamed Kamel Amr stated that Faisal’s absence was due to previously arranged engagements, Reuters reported on Monday. After the meeting in Cairo, the Egyptian foreign minister announced that the contact group would meet again on the sidelines of the 67th regular session of the United Nations General Assembly, which opened at the UN Headquarters in New York on Tuesday and closes on September 30. Foreign Minister Dr. Ali Akbar Salehi put forward the approach and the road map proposed by the Islamic Republic of Iran to find a way out of the Syrian crisis at the quartet meeting of the foreign ministers of Iran, Egypt, Saudi Arabia, and Turkey. Realizing a Syrian-Syrian democratic approach. Dr. Salehi also pointed to the fact that the suffering of the Syrian people, (and) particularly the sanctions and economic punishments, necessitate that Muslim countries, including the four known regional powers (scheduled to be) present at the meeting, intensify and pool their efforts to ship economic and humanitarian aid and proposed that a committee be established to end the suffering of the Syrian people for the realization of this goal. In addition, our country’s foreign minister pointed to the good potential of the Non-Aligned Movement to play an effective role in regional and global developments after the holding of the summit of the heads of state (and government) of the Non-Aligned (Movement) in Tehran and described the participation of Iran and Egypt of the NAM troika in the Cairo meeting as beneficial and called for the inclusion of Venezuela, as a member of the troika of the Non-Aligned Movement, and Iraq, as the rotating president of the Arab League, to the present group so that the current constructive process will come to fruition. At the beginning of his speech, the foreign minister of the Islamic Republic of Iran thanked the Egyptian government for hosting the quartet meeting and also the deputy (foreign ministers) meeting (on September 10) and said that this illustrates the prevalence of collective wisdom in the region.